Hiking in the Pacific Northwest is a wonder in itself—towering trees, crisp air, and stunning views. Add a plethora of spring wildflowers to the mix and you get an experience that will keep you coming back every year. 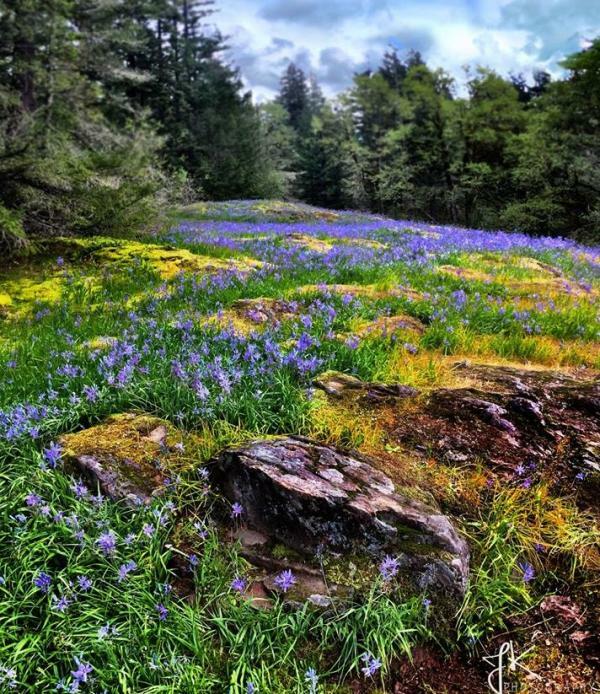 Here are five must-do hikes within easy driving distance of Vancouver, Washington that bloom blankets of color for all to enjoy. Find the flower that Camas was named after, the Camas Lilly, among the 312-acre park surrounding Lacamas and Round Lake. Meander the trails until you are stopped in your tracks by tiers of rocky meadows radiating with purple blooms. One of the closest hikes in the Columbia River Gorge to Vancouver, Cape Horn attracts hikers for its stunning views and cascading waterfalls. The nearly eight-mile loop overlooks the river at about 1,200 feet before dropping down to the water’s edge along fields of lava rocks. In the spring, wildflowers complement the beautifully wild landscape. 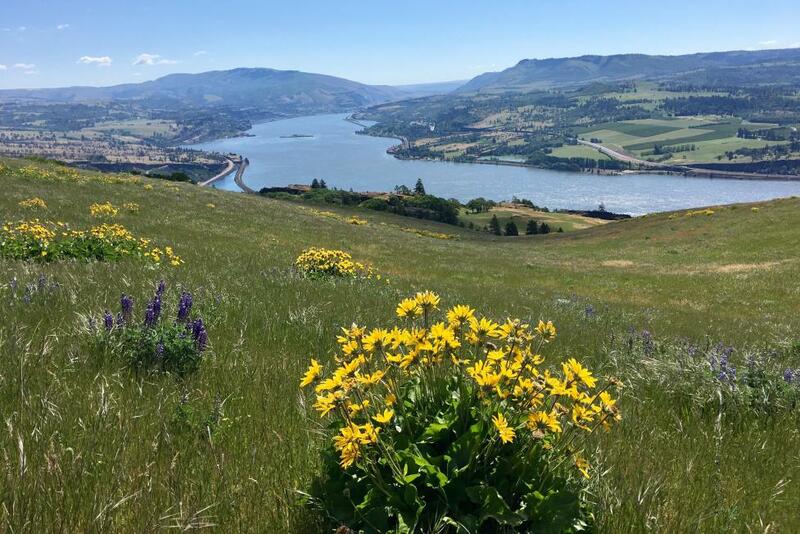 Hike the steep switchbacks to get beyond the tree cover, where you will find breezy meadows of yellow balsam root that transport you into a scene from The Sound of Music. Those who conquer the 2,800 feet of elevation gain are rewarded with panoramic views of Wind Mountain, Mt. Hood, and the Columbia River. Make sure you have the correct permits for this one, especially on the weekend! This uniquely unshaded trail offers views the entire way up with a steady progression of wildflowers, including grass widow, prairie stars, yellow bells, camas lilies, and balsam root. Share the approximately six-mile trail with mountain bikers and pups as you make your way to view the magnificent syncline wall. Find the early bloomers at Catherine Creek. The easy-going 3.5-mile trail is multi-use for hikers, bikers, and horseback riders of all skill levels. The views of Mt. Hood are hard to beat on a clear, sunny day!